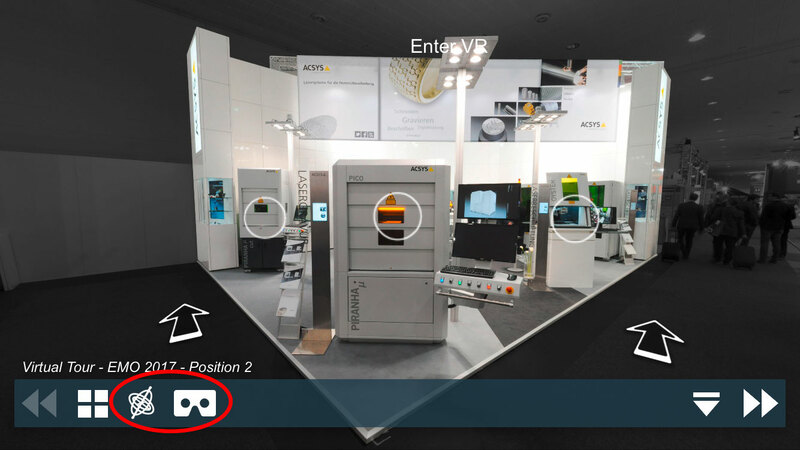 ACSYS at the EMO 2017 - Our virtual booth - ACSYS Lasertechnik UK Ltd.
After six action-packed days, more than 2,200 international manufacturers of production technology. We were with five laser systems on site, had many interesting conversations and applications. If you could not visit us, we offer you our virtual tour of the fair. With the gyro sensor of your smartphones, you can also “commit” to our booth! Just click the appropriate icon at the bottom left. If you have a VR glasses or similar, you can also use the VR function. Have fun on our stand, we look forward to your visit! At the EMO ACSYS presents the all new PIRANHAµ PICO, full automation system PIRANHA Multishift, BARRACUDA Multi, the new PIRANHAµ cut and the OYSTER. The new PIRANHAμ PICO have been specially designed for high-precision applications. While the PIRANHAμ is equipped with a fiber laser system of the latest generation, the PIRANHAμ PICO has a current picosecond laser. Optionally, the PIRANHAμ can be equipped with a femtosecond laser (PIRANHAμ FEMTO). Based on the PIRANHA III we have created a machine, which is a symbiosis of fully automated processing and OPR – Optical Parts Recognition. The two side loading and unloading lift stations each have a capacity of 20 trays, in which the workpieces are placed. The parts are prepositioned using a grate. The system moves one tray at a time from the loading lift station under the laser camera head. Due to its flexible layout, the BARRACUDA is the ideal basis for customized solutions. Powerful fiber lasers with high-speed writing heads guarantee maximum precision and minimum processing times. 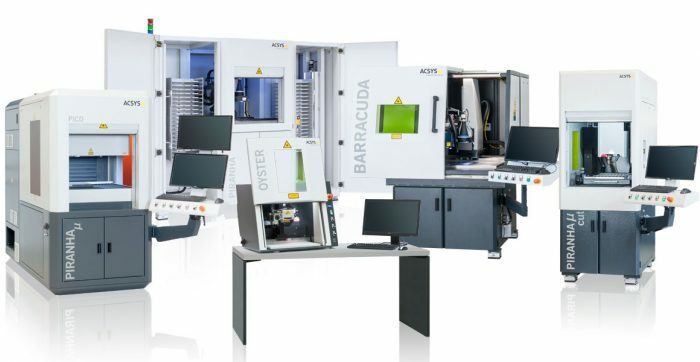 Multi-axis solutions extend the BARRACUDA, thereby turning it into a partially or fully automated production machine. The PIRANHA cut is an entirely new development. A compact machine for sheet metal sizes up to 600 x 600 mm², a high contour accuracy (± 25 µm) and suitable for sheet thicknesses of up to 3 mm. 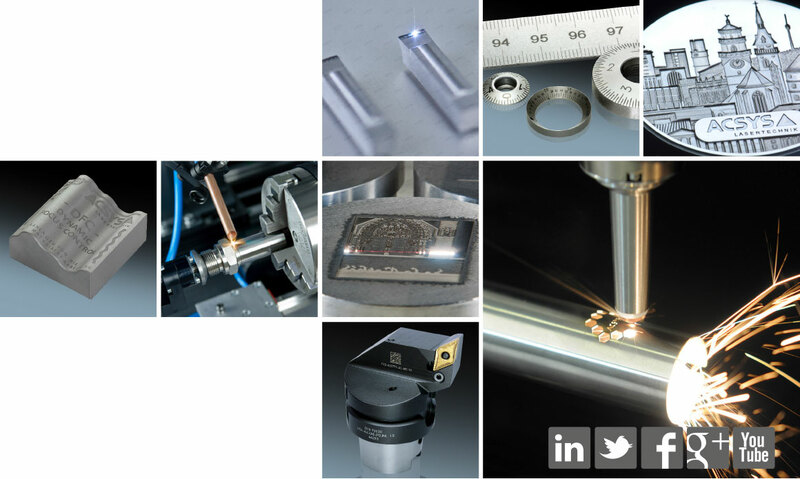 The cutting systems are equipped with air-cooled fiber lasers of different power ratings depending on the required application and are suitable for laser burn cutting and laser fusion cutting. The OYSTER offers an economical entry into laser marking. The table system delivers outstanding results for individual parts and small-scale series for a wide range of different materials. The OYSTER is used whenever small parts are to be marked or engraved quickly, flexibly and to a high quality standard. « All new PIRANHA®μ PICO by ACSYS – The Definition of Precision in Laser processing.